THE Philippines and Sri Lanka signed Wednesday, January 16, five agreements that aim to bolster cooperation between the two countries in the field of defense, agriculture, education, and tourism. Five memoranda of understanding (MOU) were signed during the state visit of Sri Lankan President Maithripala Sirisena to the Philippines. 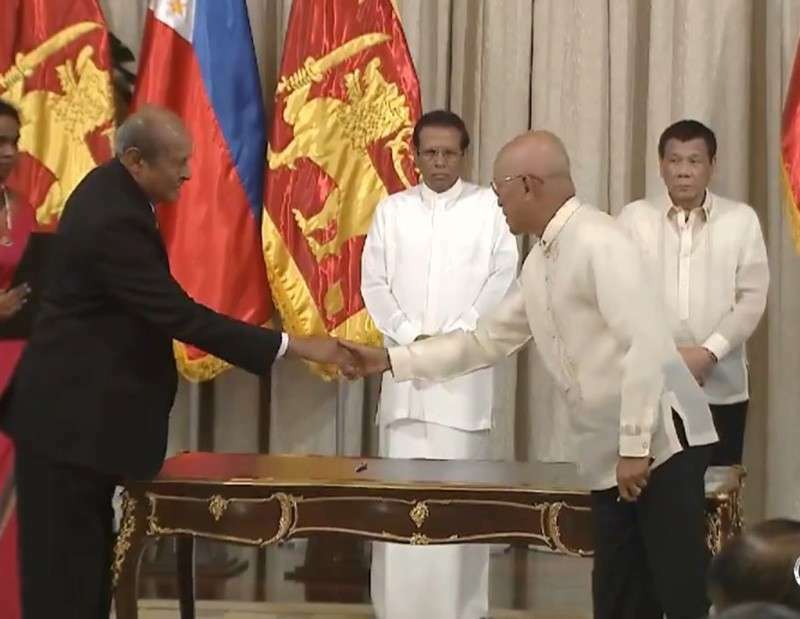 The signing of the memoranda, which was held at Malacañan Palace, was witnessed by President Rodrigo Duterte and Sirisena. An MOU was signed between the Department of National Defense and Sri Lanka's Ministry of Defence to boost cooperation concerning defense and military education and training, as well as exchanges of defense and military delegations. The two nations also signed an MOU on cooperation in agriculture, fisheries and related fields. The Philippines and Sri Lanka also inked an MOU on academic cooperation in higher education. The memorandum was signed by the Commission on Higher Education and Sri Lanka's Ministry of City Planning, Water Supply, and Higher Education. Also, an MOU between the Department of Tourism and Sri Lanka's Ministry of Tourism Development, Wildlife and Christian Religious Affairs was signed. An MOU was likewise inked between the University of the Philippines Los Baños and the Sri Lanka Council for Agriculture Research Policy of the Ministry of Agriculture, Rural Economic Affairs, Livestock, Irrigation, Fisheries and Aquatic Resources Development. In a joint statement, Duterte stressed that the Philippines and Sri Lanka, which face "common challenges" and have "shared interests," would work together to provide "greater peace, progress and prosperity for our peoples." "These realities and aspirations behoove upon us to work together even more closely to provide renewed impetus and clearer direction for a greatly expanded partnership," he said. "In our meetings, we resolved to further strengthen our engagement in trade, defense, agriculture and tourism, education, cultural and people-to-people exchanges," he added. 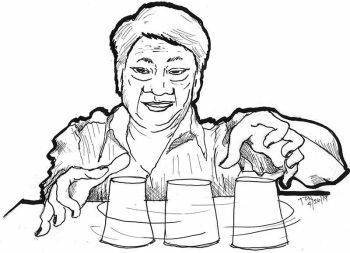 For Sirisena, his visit to the Philippines yielded "productive" discussion with Duterte, especially when it comes to their commitment to improve the lives of their peoples. The Sri Lankan leader said he was also "pleased" with the outcome of his bilateral talks with Duterte. "We have agreed on several concrete initiatives to deepen our relations. Along with President Duterte, I and my government will ensure that these initiatives will be implemented in order to harness the maximum to the people of the both countries," Sirisena said.